You may be surprised to learn that purchasing newspaper advertising space is still worth the investment in 2019. That’s because the response rate from customers is consistent, especially when print advertising is used as part of an omnichannel marketing strategy. Here’s why you should incorporate newspaper advertising into your marketing mix. Despite what many will say, print is far from dead. In fact, statistics show that newspapers still reach a massive audience. Local newspaper advertising lets you reach the consumers who are most accessible to your business. An impressive 83% of adults regularly read the paper, while 56% of young adults read it in print or online. Digital channels don’t do much for our sense of touch. While the sight and sounds may flash and draw our attention, most people quickly close popups or install adblockers to prevent ads from getting in the way of their Internet use. With newspaper advertisements, readers are put in control of the information they consume. They can take their time flipping through the soft pages and enjoy the experience of reading. Ads are far less offensive because they do not interrupt content, but are strategically placed to draw attention. By connecting with multiple senses, print ads are more effective. Advertisements in newspaper allow readers to take their time with the content. Instead of the fast-paced world of digital technology, they can engage and absorb information while sitting in the doctor’s waiting room or on the bus to work. Print media also requires undivided attention. While many people text or browse the Internet while listening to music or working out, print media requires quiet and focus. Newspaper advertisers can get more attention direct to their content than digital advertisers. Recent studies on the human brain have found that humans process information differently depending on the platform we receive it. When we read content on paper, we seem to focus for longer periods of time compared to content on a digital screen. Perhaps this is because of the limited distractions in newspapers, rather than flashing banner ads or popups on the Internet. When it comes to the medium that most consumers trust, the majority choose print media. Recent studies show that they are more wary of the things they read on social media or online channels. If they notice an offer in a print ad, they are more likely to visit the online or physical store to make a purchase than if they saw the ad online. Consumers are constantly bombarded with ads and offers online, which builds up a resistance. But receiving a flyer in the mail is a more welcomed surprise. A recent study found that within 30 days of reading a newspaper insert, 30% of readers went to the company’s web site to learn more about the offer. Newspaper inserts and ads are very effective for retailers, whether they want the consumer to visit their online store to shop, or to redeem their offer at a brick and mortar store. As mentioned before, many Internet users will try to block out the noise of ads because they disturb what they are trying to do online. This is another reason why print media carries more impact. Readers will actually take the time to review the flyer, postcard, or insert to see if the offer appeals to them. When users get ads via e-mail, they delete the e-mail quickly as if it were spam. The most successful day for newspaper advertisers is Sunday. Getting into the Sunday paper is like hitting the jackpot—be prepared to expect good things! This is the day most readers seek out newspaper inserts to plan out their shopping for the week. Customers will actively peruse their newspapers to find these ads, so if you’re able to get your message into these papers you will be amazed at the responses. Smart shoppers save the inserts they find in newspapers to redeem them at later dates in-store. To reach these customers, consider posting your ad in newspapers that target readers across your region. You can get your ad directly in the hands of local, habitual newspaper readers. Truthfully, digital marketing campaigns aren’t all bad. Many businesses who advertise online have seen amazing success in reaching their consumers, especially when they try to lead them to their online store. However, digital advertising is far more effective when used with print media. Since ads can be quickly dismissed online, your print ad could be the piece that connects to your prospects and leads them to your web site or social media channels for more information or to redeem an offer. In fact, studies have revealed that print media can increase your return on investment as much as 240%! 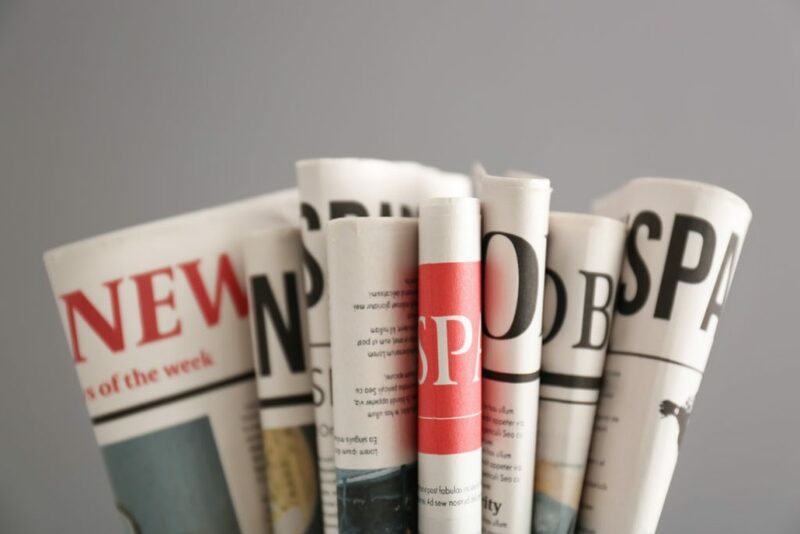 If you want to increase your response rate in 2019, consider newspaper advertising as part of your marketing campaign. Print media offers businesses many advantages and can be incorporated to connect readers to your web site or physical store. Unsure where to begin? Need the right mailing list? Our marketing agency can help! At Macromark, we specialize in helping our clients create strong, effective, successful newspaper and print ad campaigns. Our variety of services can be customized to suit your business goals, and we have packages that can work with a range of budgets. No matter the size of your organization, we can help you target your audience, retain customers, and build your reputation among your audience as a company they can trust. We can help you set up a successful print ad campaign, with all the assistance you need to get it up and running.